We visited Palermo during our last holiday in Sicily in family: an on the road trip of 16 days. 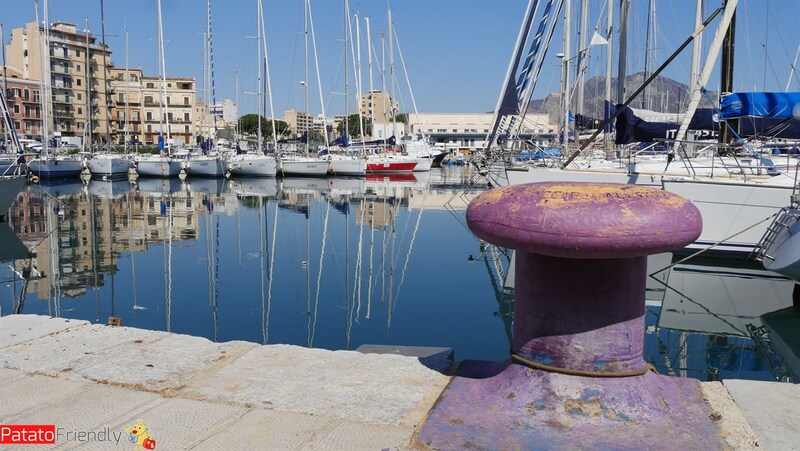 It wasn’t our first time there but Palermo is an amazing city that worths to be included in a itinerary in Sicily with kids so we decided to come back again. We visited the city at the end of our trip to Sicily and we stayed there only two days. 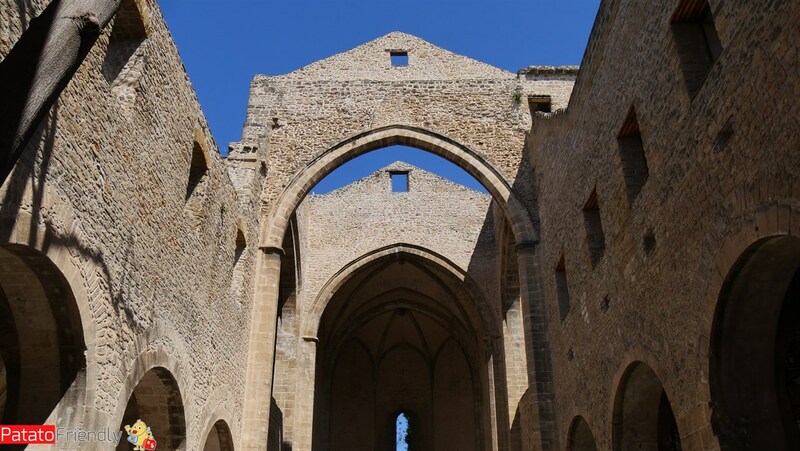 Two days is a period too short to see Palermo but it wasn’t our first time there so we decided to organize our tour in Sicily giving more space to other destinations. Our advice is stay more than 2 days in the city but if you don’t have more time below you can fine ​​an itinerary to see Palermo in two days. And then come back! 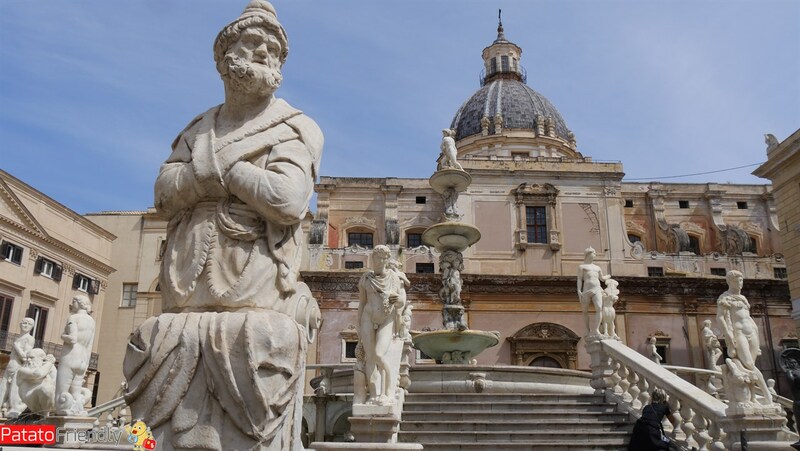 Start your first day in Palermo from the “Teatro Massimo“, one of the symbols of the city. From there, continue on “Via Orologio” (“Via” in Italian means street) and then going along “Via Maqueda”. Then take some time to visit the “Quattro Canti” and the “Fontana Pretoria” (the Pretoria Fountain), which is also called the “Fountain of Shame”. There visit the “Chiesa dell’Ammiraglio” also known as Martorana’s Church: inside you can admire a mix of marvelous mosaics and frescoes. 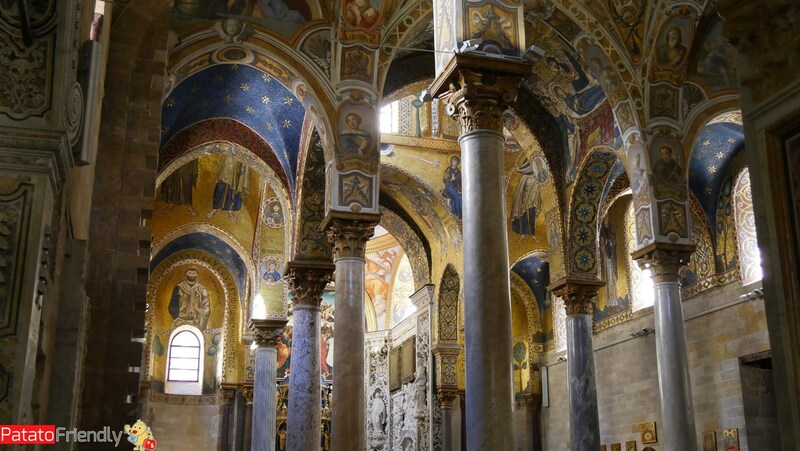 Then if you are not tired, go on with your visit of Palermo and go to the “Palazzo Reale” (the Royal Palace) where you can visit the apartments and the incredible “Cappella Palatina” (the Palatine Chapel). Once you’ve finished, you could rest for a bit at the Gardens of Villa Bonanno and then go to visit a little hidden little thing that we recommend to see in Palermo: the “Camera delle Meraviglie” (the House of Wonders). This is is a fully decorated room with Arabic silver and gold writing on a blue background dating back to 800. Not to be missed in Palermo. 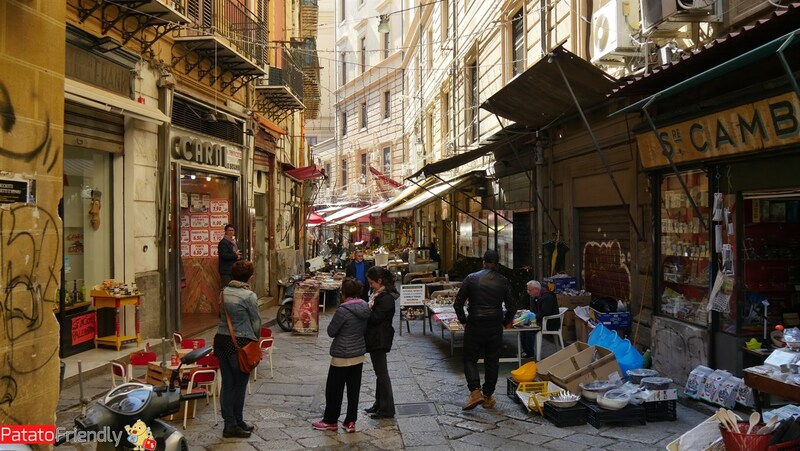 Dedicate your second day in Palermo to 3 famous markets: “Ballarò“, “Mercato del Capo” and “Vucciria Market“. Each of these three markets of Palermo has its own typical specialties to try but if you love Street Art I recommend keeping your eyes open and the camera ready because in Vucciria Market you will find real works of art between old ruined buildings. From the Vucciria Market go down to the sea at the “La Cala“, a quiet oasis where you can relax a little bit after the chaos of the markets and then go through “Piazza Marina“. In this ancient square you can not miss the secular tree overlooking the garden of Villa Garibaldi. This ficus is a symbol of unity of Italy and its roots, which descend to the ground, have formed true columns. Otherwise, the garden is a shaded and cool place, so if you visit Palermo in a sunny summer day it will be a pleasure to stop there somewhere. There are many things to do in Palermo with children. First of all we suggest you to attend a performance of the “Teatro dei Pupi” (the Puppet Theater). This theater is an ancient Sicilian tradition now less popular but, believe me, our little son came out of the theater smiling. One of the ancient theaters in Palermo is the “Teatro Argento” still run by one of the oldest families of pupils artisans of Palermo. If you’re visiting Palermo with kids you will find a beautiful playground at the Cala, with also very clean bathrooms. There is another smaller playground in “Piazza Magione”near the Spasimo Church. Instead Villa Giulia Gardens and Villa Bonanno Gardens are a good place to rest a while visiting Palermo with children. And then, of course, you have to try “granite” and ice cream, strictly with the brioche that is very good (and huge!) And then the rice puddings, which here are called “Arancina“. In short, prepare to get weight during a holiday in Palermo, but generally during a holiday in Sicily! FUD: This restaurant is located in “Via dell’Orologio” and is a Sicilian fast food. The products are in fact local and Sicilian street cuisine has been reworked with “fast food” mode and served in a very nice setting. But the best thing is that they are super attentive to the kids: changing mats, high chair, colors and games to entertain the baby and also a nice balloon. The burgers we tried, accompanied by Sicilian beer, were great and not expensive. Antica Focacceria San Francesco: This is one of the historic places in Palermo, very popular and well known. We had lunch with classic buns (simple with ham and cheese for the baby) and “pane ca meusa” and found a countertop with toilet wraps, useful for changing the kids, and high chairs. Moltivolti: This restaurant is in the heart of Ballarò. They serve snacks, lunches and dinners. Here you will find changing room and high chairs and also many games available to children. We were there for snacks! Antica Gelateria Ilardo: If you are looking for a super ice cream parlor stop at this one, near Cala’s playground. There are many hotels in Palermo and we stayed at B&B Piccola Sicilia that we recommend you: This B&B is located in an ancient palace and offers to its guests two clean and well-kept rooms, both with private bathroom. But the nicest thing, and the real reason to go there, is how it is handled. 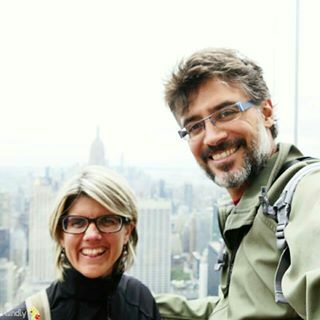 Raffaella, its owner, is a special person, in love with the city and her work, able to prepare excellent breakfasts based on typical products and to give advice to guests on what to see in Palermo. The B&B Piccola Sicilia is located just off the ZTL area, convenient to visit the city either on foot or to take buses to visit the surroundings. If you are looking for a place to sleep in Palermo with children, I also tell you that Raffaella is mom and her home is full of family attentions, even with small children. If you want know something more about Palermo you can watch our video.